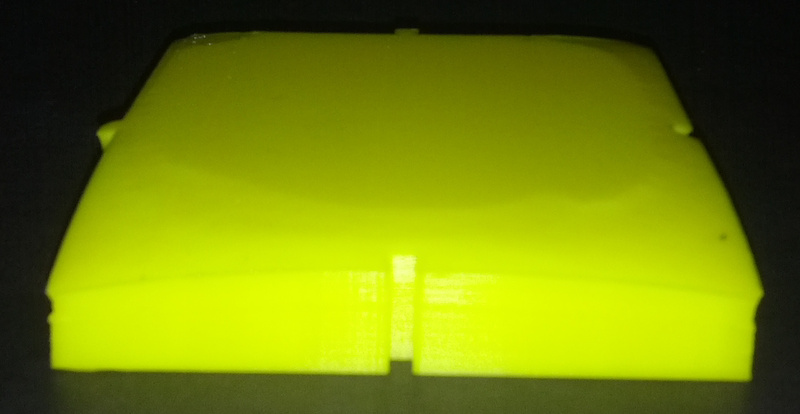 The biggest issue when printing 3D ABS objects is warping. As an example, this 8 cm x 8 cm bit holder is badly warped. In this example, 5 mm. 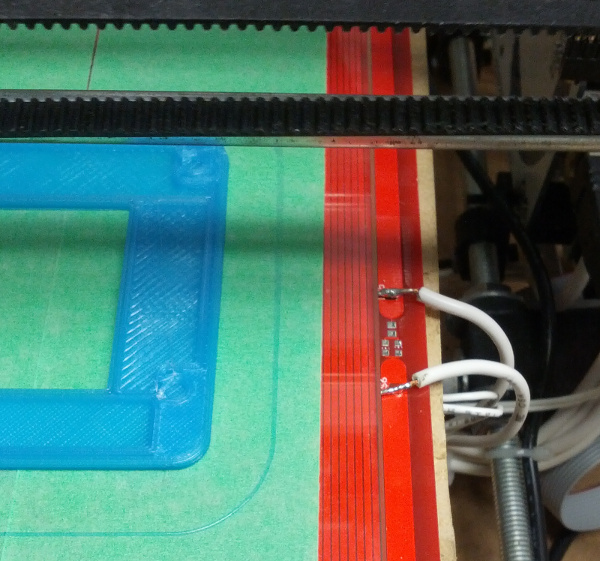 Adding disks (1.5 cm x 1 mm) at each corners prevents warping almost completely. 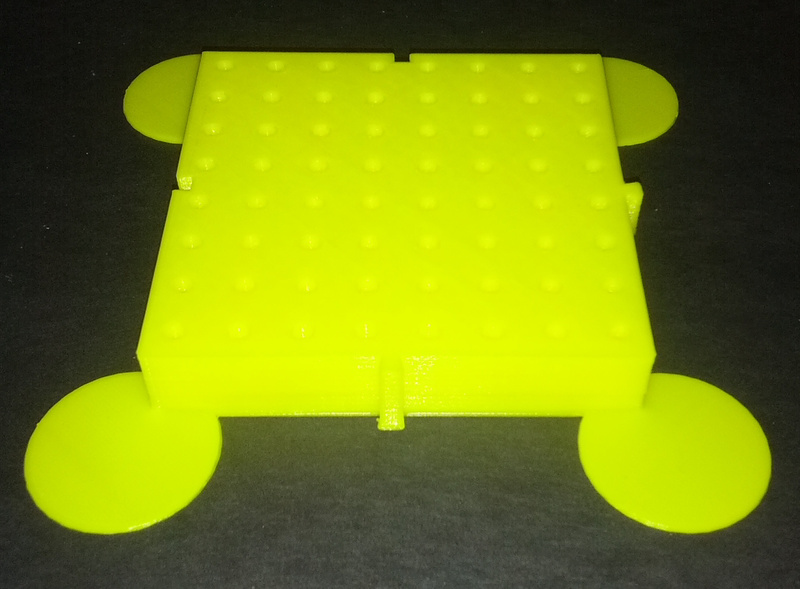 These anti-warping disks can be easily added on the plater of Slic3r. The printing end result printing is shown on the picture below. 1 cm x 0.6 cm disks also works fine. After trimming the disks, the end result is very good. Warping is less than 0.2 mm. 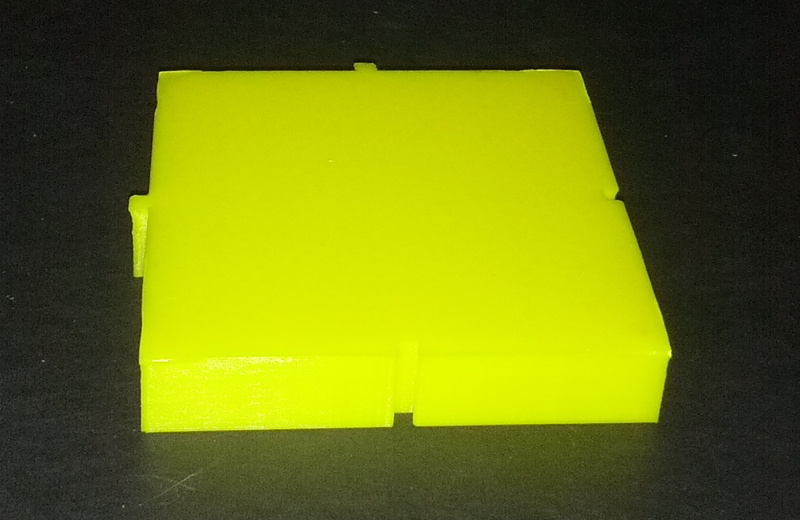 You can download the OpenScad source file along with some rendered files. I was not able to reach 110 Celsius with a Prusa PCB Header Bed MK1. My initial installation was with the PCB traces down with a borosilicate glass on top of it. I found out that installing it with the traces up as show below resolved the issue. Nevertheless, the thermistor does not read the real printing area temperature since it is underneath the PCB. There is a 15 Celsius offset and the glass is slightly offsetted. These are small inconveniences. The bed is getting hot pretty fast and is able to reach 110 Celsius.